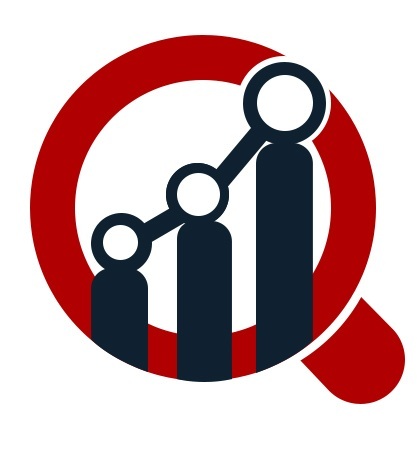 Automotive Automatic Tire Inflation System Market Share, Size, Trends, And Business Opportunity Analysis Report 2018 include historic data, with forecast data to 2023. An automatic tire inflation system is used to control the tire pressure of all four tires of the vehicles. The tire manufacturers are developing new technologies to improve the automatic tire inflation system and tire efficiency, and air pressure due to tire wear and tear, and drop in tire pressure. The improved automatic tire inflation system can enhance the efficiency of tire, increase fuel economy, and reduce the tire wear by providing sufficient amount of air in each wheel. Automatic tire inflation system starts its function when the load on the vehicle increases and it increases the tire pressure in each tire and when the load on the vehicle decreases it reduces the tire pressure. Moreover, automatic tire inflation system maintains ideal pressure in tires and if tire pressure reduces the tire is inflated again. The factors that are responsible for the growth of automotive automatic tire inflation system market are stringent safety regulations, innovation in tire systems such as contact area information sensing and growing sales of vehicles. To overcome the tire wear and tear in the vehicles many key players are investing money in research and development to improve the resistance property of tire materials, which further enhances the growth of global automotive automatic tire inflation system market. A key driver that helps the growth of the automatic tire inflation system market is the reduction of maintenance cost of tires due to increasing wear and puncture. Automatic tire inflation systems also improve fuel efficiency and passenger comfort. However, higher maintenance cost and fitment issues will hinder the growth of the market. One trend in the automatic tire inflation system is integration of telematics in tire inflation system. The automotive automatic tire inflation system market is segmented based on type, sales channel, and vehicle type. On the basis of type the market has been segmented by central tire inflation, continuous tire inflation and others. On the basis of sales channel the market has been segmented by OEM and aftermarket. On the basis of vehicle type the market has been segmented as passenger car, commercial vehicle and electric vehicle. On the basis of region, the market is segmented based on North America, Asia-Pacific, Europe, and Rest of the World. Europe region is expected to dominate the market in future due to the increase in demand of passenger and driver comfort in countries such as Germany, France, and Japan. Also, there has been an increase in the sales of passenger vehicles in Asia-Pacific, which would resulted in increased the installation of automatic tire inflation system in the vehicles. The increase in production of electric vehicle will result in the growth of automatic tire inflation system market in future. The key players in automotive automatic tire inflation system market are APERIA TECHNOLOGIES, INC.(US), Bridgestone Corporation(Japan), Continental AG(Germany), Goodyear Tire and Rubber Company(US), Meritor, Inc.(US), CODA Development(US), MICHELIN(France), Hendrickson USA, L.L.C. (US), and Pirelli and C. S.p.A.(Italy). STEMCO Products Inc. (US), Hankook Tire (South Korea), Pressure Systems International, Inc. (US), Denso Corporation (Japan), Haltec Corporation (US), Michelin North America Inc. (US), ti.systems GmbH (Germany), and PressureGuard (US) are among others. The report for global automotive automatic tire inflation system market of Market Research Future comprises of extensive primary research along with the detailed analysis of qualitative as well as quantitative aspects by various industry experts, key opinion leaders to gain the deeper insight of the market and industry performance. The report gives the clear picture of current market scenario which includes historical and projected market size in terms of value and volume, technological advancement, macro economical and governing factors in the market. The report provides details information and strategies of the top key players in the industry. The report also gives a broad study of the different market segments and regions.